Looking for assistance with your RV windshield or foggy side windows? A-1 Auto Glass is pleased to introduce its sister company, RV Glass Solutions – your nationwide solution to RV windshield replacement. 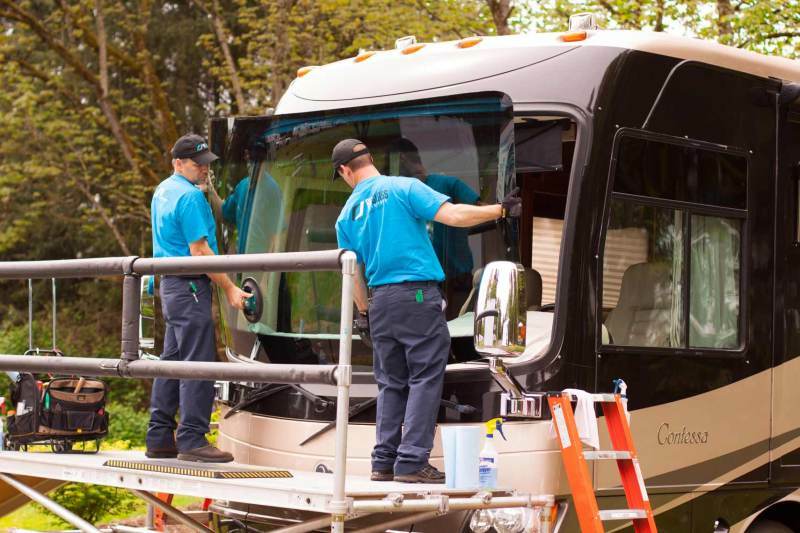 In addition to our full service shop here in Coburg, Oregon, RV Glass Solutions has more than 2,500 service locations throughout the U.S. and Canada. With one phone call, our experts will arrange for installation by a motorhome glass specialist, ship your new RV windshield and take care of the insurance and billing details so you don’t have to. It’s that easy! We also offer side window repair and replacement at our Coburg, Oregon, Phoenix, Arizona and Lakeland Florida Service Centers – or at a service center near you.